Crafting With Craig: Imagination crafts July - Anything goes challenge. Imagination crafts July - Anything goes challenge. So I seem to have gotten the challenge bug, I adore imagination crafts products so here is an 8x8 card. 8x8 card blank Craft work cards. 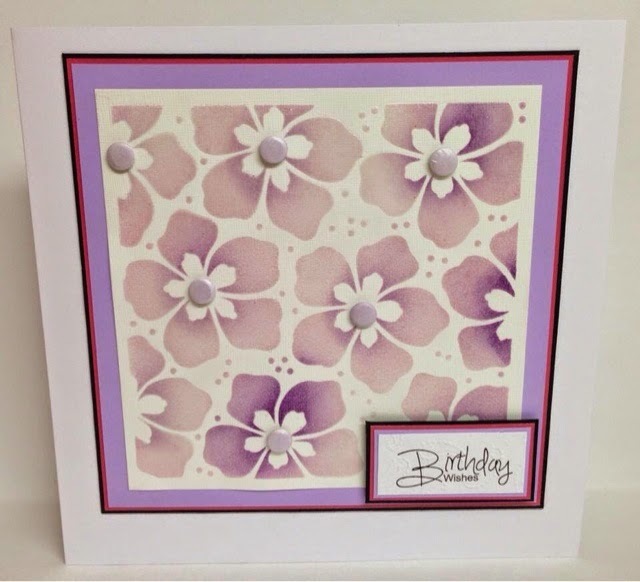 Black, red and purple textured card - Bazzill basics. Clear embossing powder - Cosmic Shimmer. Purple and lilac distress ink - Ranger. Double sized tape - Stix2.